exhibition “Les Talents à la Carte - Scandinavie"
Terroir project, design by Jonas Edvard, copyright Emil Thomsen Schmidt. Each edition of Maison & Objet gives emerging young designers the possibility to present their work in a dedicated section. 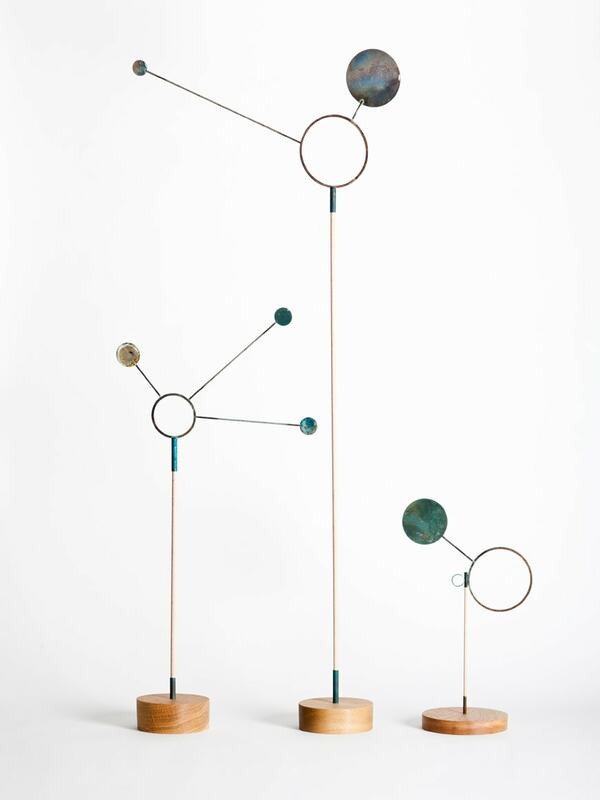 Therefore, within the incoming edition which will take place in Paris from 22 to 26 January 2016, the exhibition “Les Talents à la Carte” will showcase projects by six Scandinavian designers: Jonas Edvard and Troels Flensted – Denmark, Katriina Nuutinen – Finland, Kjartan Oskarsson – Iceland, the duo Kneip – Norway, and Färg & Blanche from Sweden. The different professional background of these six designers provide various approaches, which are somehow exemplary of the manifold and “liquid” identity of contemporary design, both in Scandinavia and across all Europe. Such identity is expressed in various ways but shares common traits, like a special attention to materials, which frequently implies the use of rough natural matters, rehashed and combined together so to create new, highly sustainable, components; or a poetic attitude which brings out the narrative potential of artifacts, combining references to ancestral elements and modern technologies to make “friendly” objects, as well as retrieving local craft skills and traditional techniques. Furthermore, these days, independent European designers make a broad use of the opportunities to directly promote and commercialize their work provided by the web. 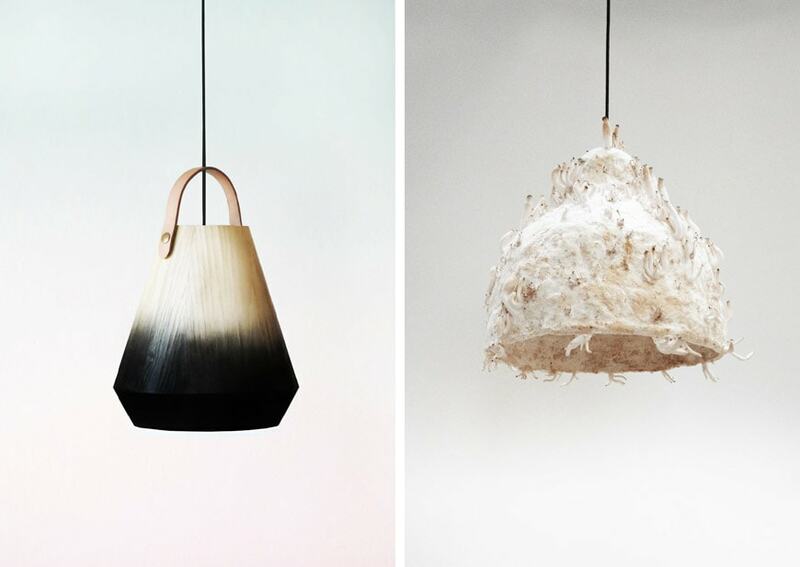 Jonas Edvard is an independent Danish designer who studied at the Royal Danish Academy of Fine arts, School of Design; his research focuses on sustainable objects based on the expressive potential of rough natural materials. For example, his series entitled “Terroir project” (Terroir is a term originally adopted in winemaking to indicate a strong relationship between a territory and a product) was made in an innovative material that combines seaweed, harvested on the Danish coast, and recycled paper. Left: Portrait of Jonas Edvard, Copyright: Tine Palle Petersen. Right: Lampes Terroir, by Jonas Edvard, copyright Emil Thomsen Schmidt. Troels Flensted is a young Danish designer who graduated at the University of the Arts – Central Saint Martins in London. His work is inspired by the physical and aesthetic properties of unconventionally produced materials. 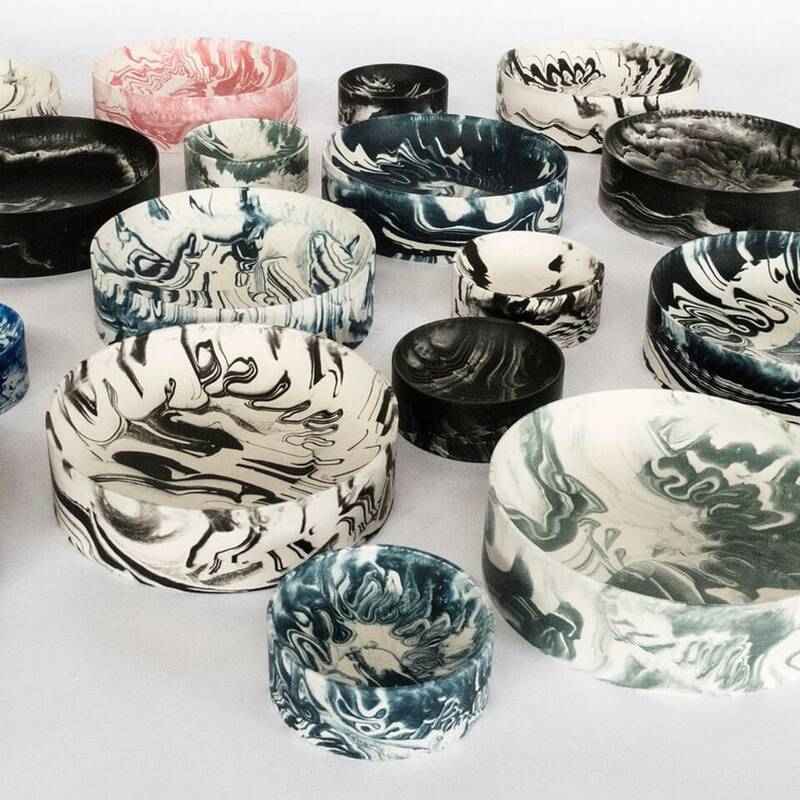 His series “Poured bowls” is manufactured by combining mineral powders and water-based resins, adding a small amount of pigments to the mixture just before pouring it in the mold; the texture uncertainty which derives from this procedure makes every bowl unique. Above left: Portrait of Troels Flensted. 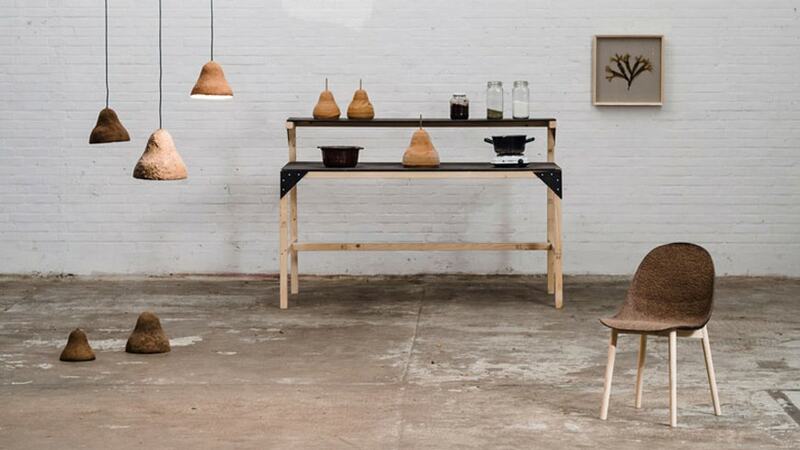 Above right and below: Bols Poured bowls, design Troels Flensted, Copyright Troels Flensted. Katriina Nuutinen, from Finland, studied at the School of Arts and Design of the Aalto University in Helsinki. 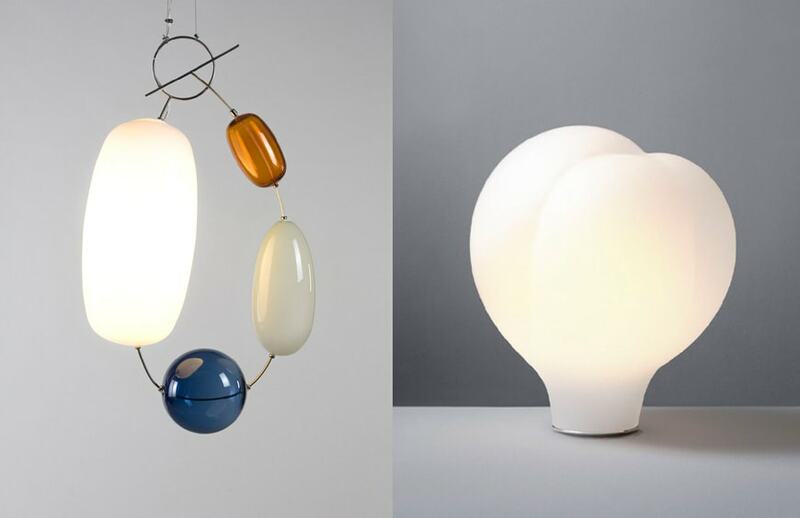 A specialist of glass and ceramics, Nuutinen creates fascinating fluid-shaped light fixtures, jewels and containers, which creatively combine such materials with others, such as metals and wood. Left: pots Tatti, design Katriina Nuutinen, copyright Ikko Alaska. Right: Portrait of Katriina Nuutinen, Copyright:Anna Salmisalo. Katriina Nuutinen, Oil lamps Pulu, Copyright Ikko Alaska. Katriina Nuutinen, left: Suspension Hely, Copyright: Ikko Alaska. Right: Pilvi, table lamp, image courtesy of Katriina Nuutinen. 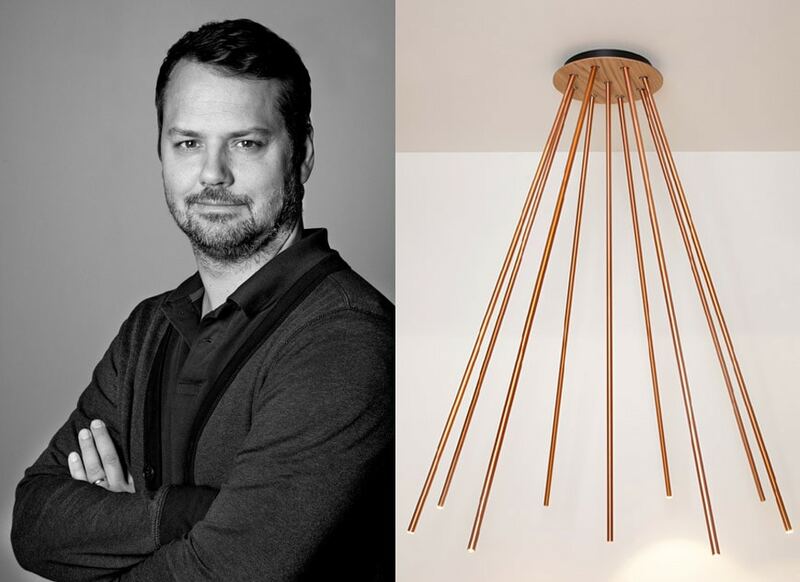 An Icelandic who studied at the ISIA in Milan, Kjartan Oskarsson in the last 16 years has developed a substantial experience in interior design. In his most recent works, he focused on the design and production of light fixtures, which use technology to foster interaction between users and artifacts, and encourage people to investigate imaginative modes to use them. 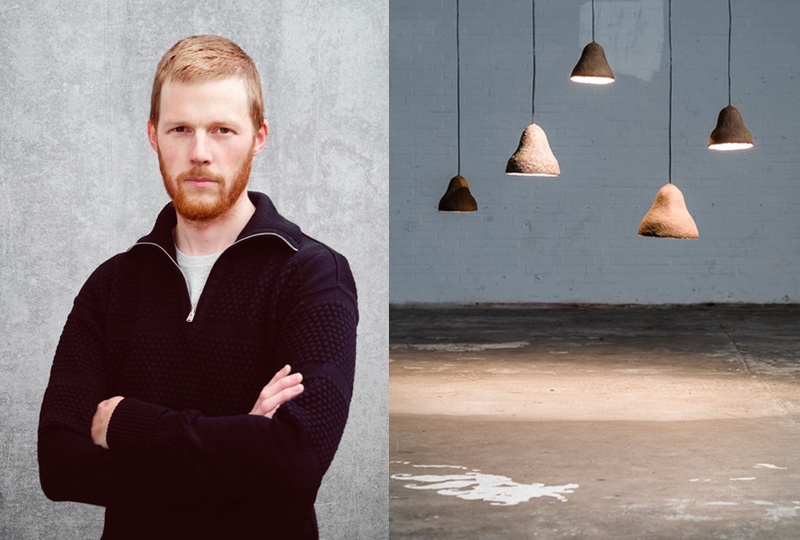 Left: Portrait of Kjartan Oskarsson, Right: lamp Forester, design and copyright Kjartan Oskarsson Studio. 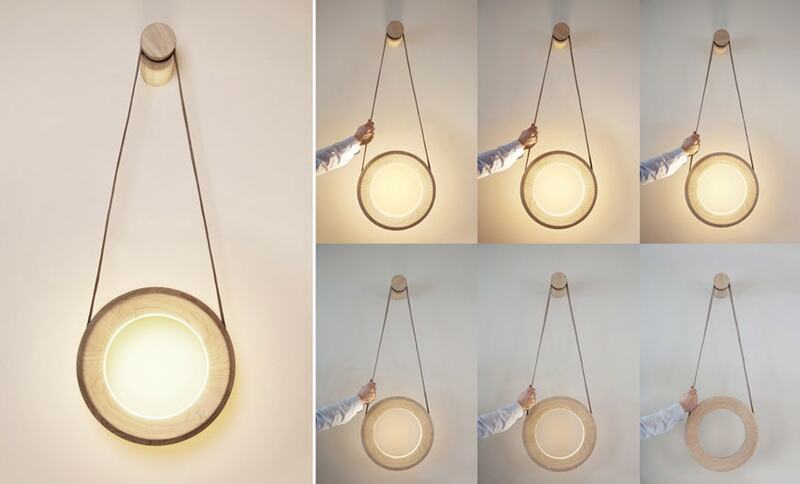 Halo, design and copyright Kjartan Oskarsson Studio. Kneip is is a firm founded and conducted by Jørgen Platou Willumsen and Stian Korntved Ruud. Both graduated at the Oslo School of Architecture and Design, their research, inspired by nature, focuses on the combination of art, design and craft through “mysterious objects” handmade as unique pieces or in limited-series. The work by Kneip has been presented at international exhibitions in Vienna and Oslo and at the London Design Week 2015. Left: Portrait of Kneip, copyright Jordet. Right: Pat Vol.1 design and copyright Kneip. Weathered Breeze, design and copyright Kneip. Färg & Blanche. Founded in 2010, the French-Swedish studio of Fredrik Färg and Emma Marga Blanche works in many design fields, from exhibition to industrial design, collaborating with renowned Scandinavian brands and creating limited series for international galleries. 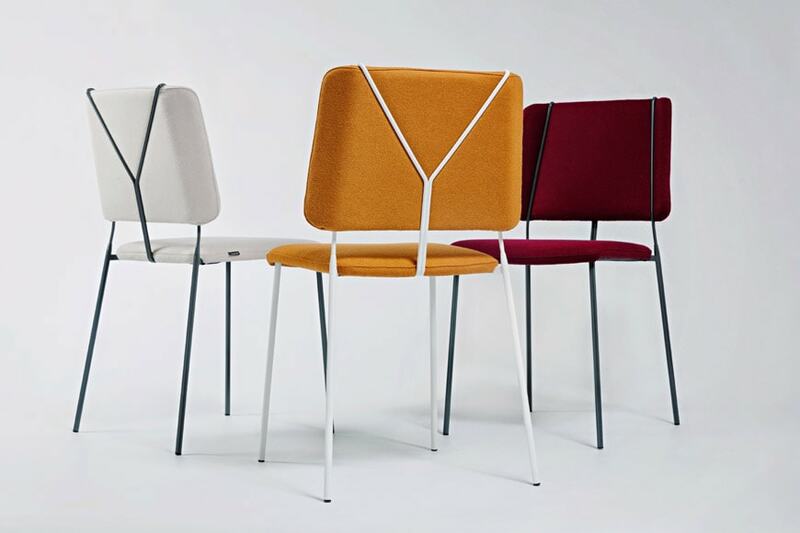 Their commitment in the research on innovative materials and production processes especially applies to the creation of upholstered furniture, seats, containers and light fixtures. Their work has received various awards and has been presented at design fairs and exhibitions in Milan, London, Stockholm, Seoul and Paris. Left: Portrait of Färg & Blanche, copyright Lennart Durehed. 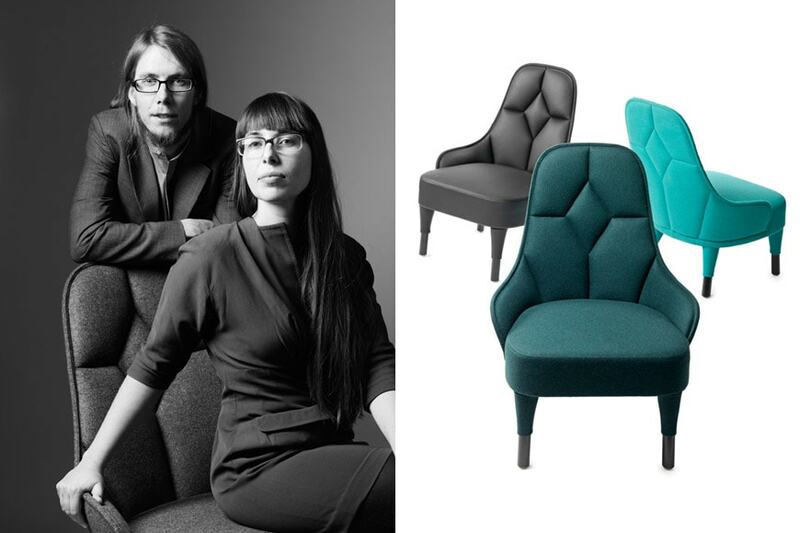 Right: armchairs Emma by Färg & Blanche, Lennart Durehed. 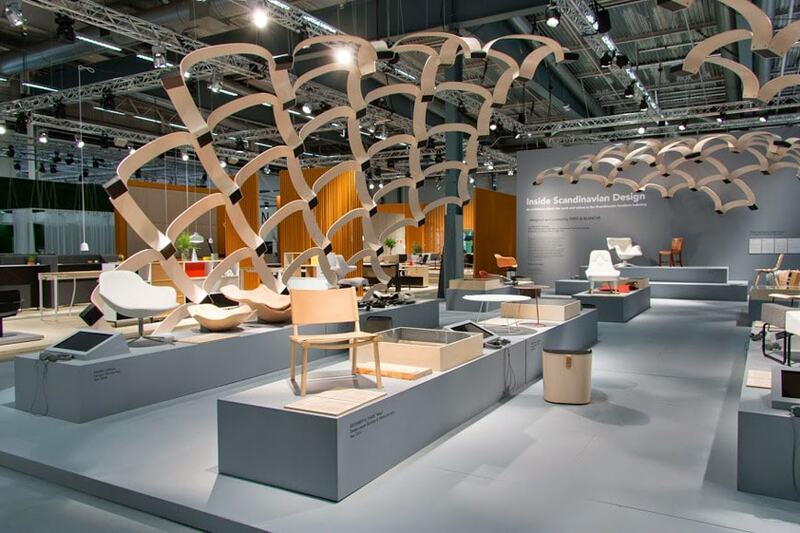 Stockholm furniture Fair 2015. Installation view of the exhibition “Inside Scandinavian design” by Färg & Blanche. Image courtesy of Färg & Blanche.